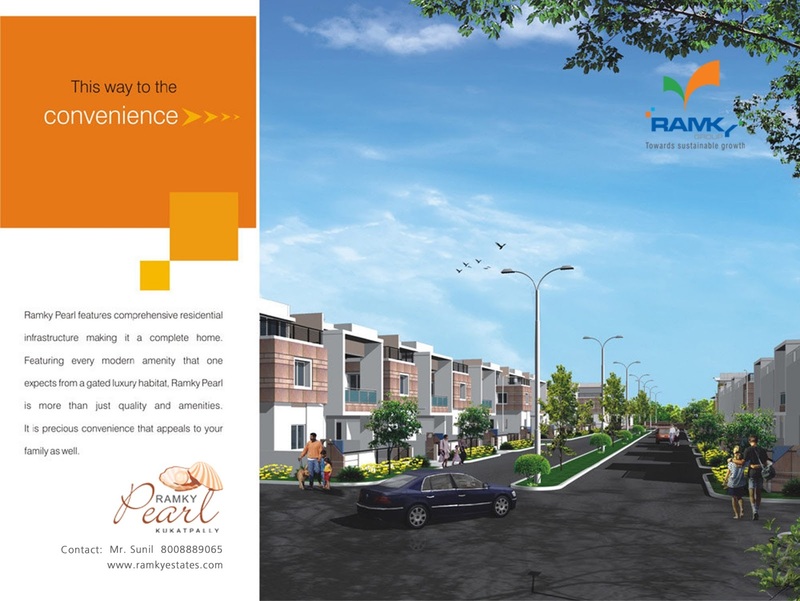 Close to town, Closer to nature. 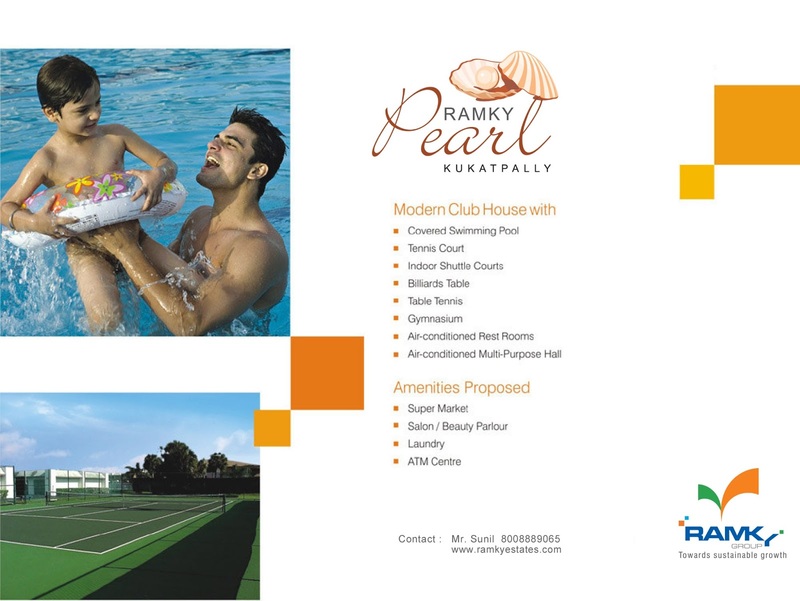 Only At Ramky Serene Woods - Bengaluru. 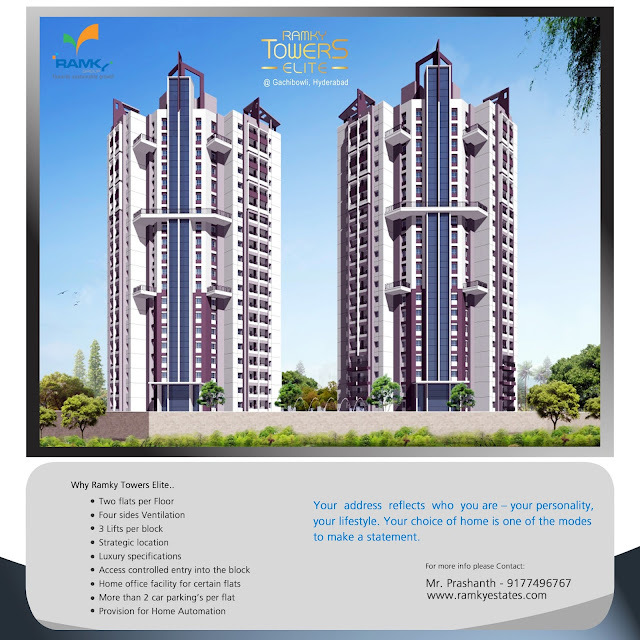 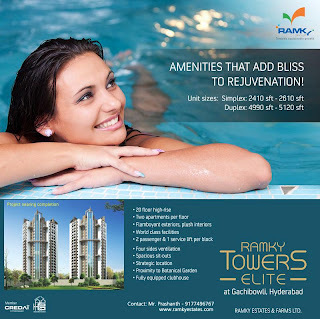 RAMKY TOWERS - "ELITE" - GACHIBOWLI. 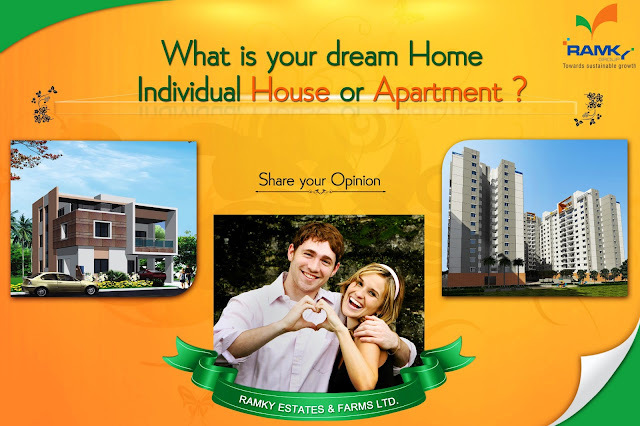 Destination for your Dream home. Live the next level @ RAMKY TOWERS - GACHIBOWLI. 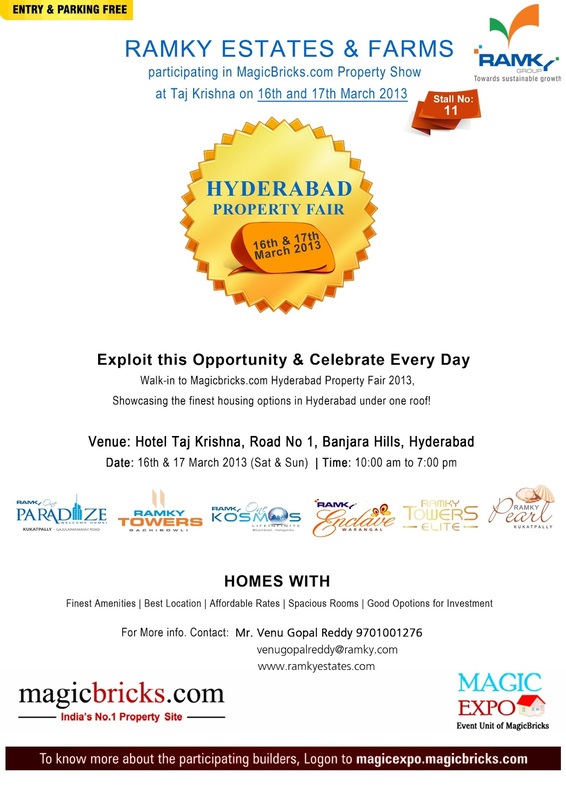 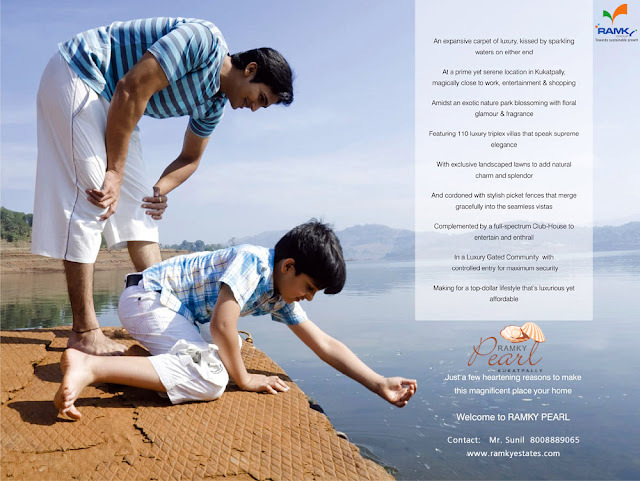 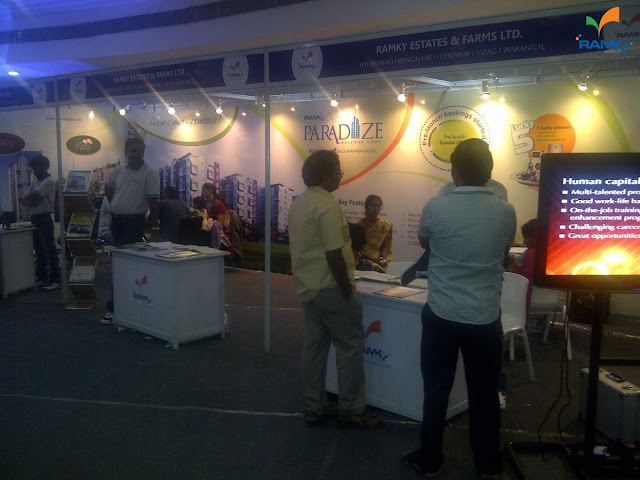 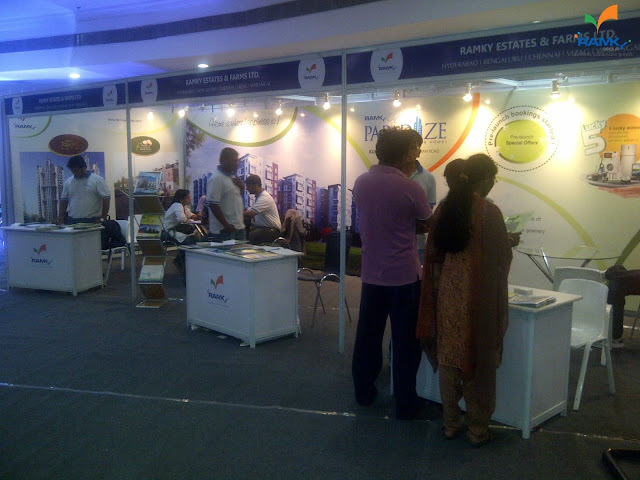 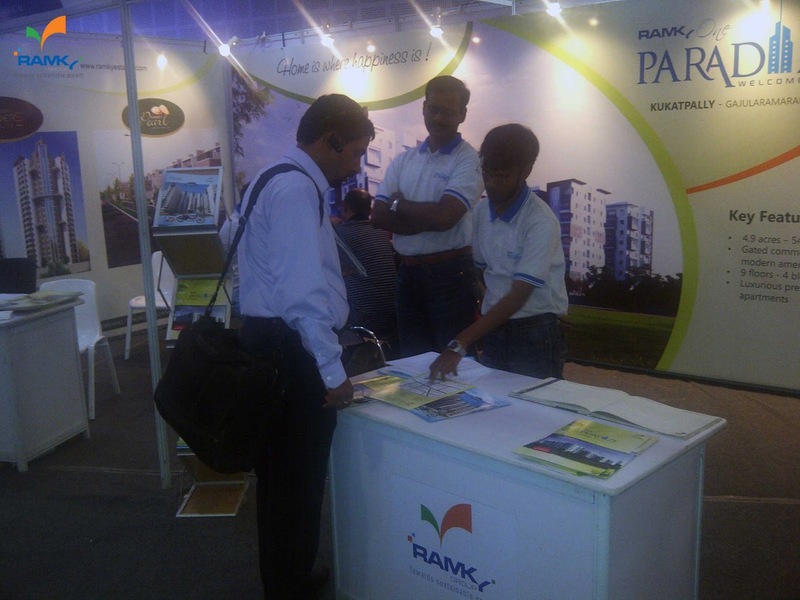 Ramky Estates & Farms Ltd. participating in MagicBricks.com Property Show at Taj Krishna on 16th and 17th March 2013, And Our stall no is 11. 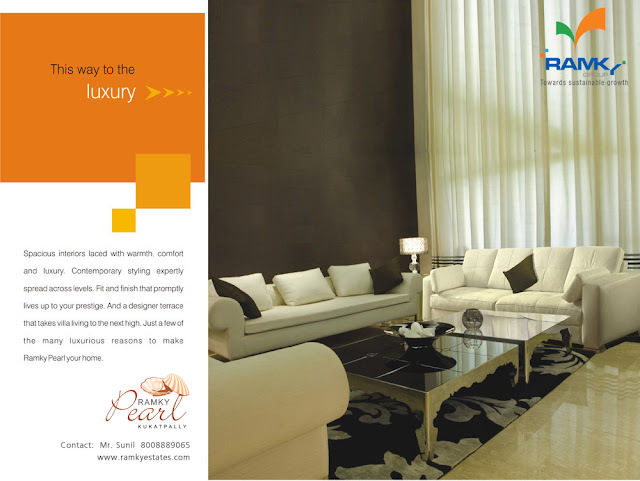 Luxury Undefined! 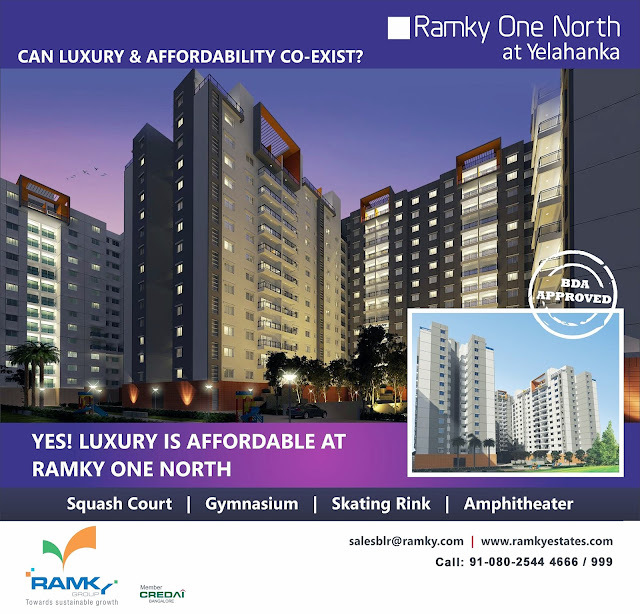 @ Ramky One North - Bengaluru. 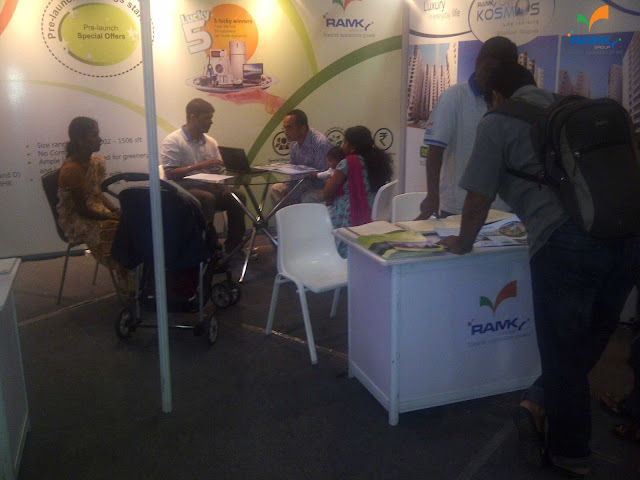 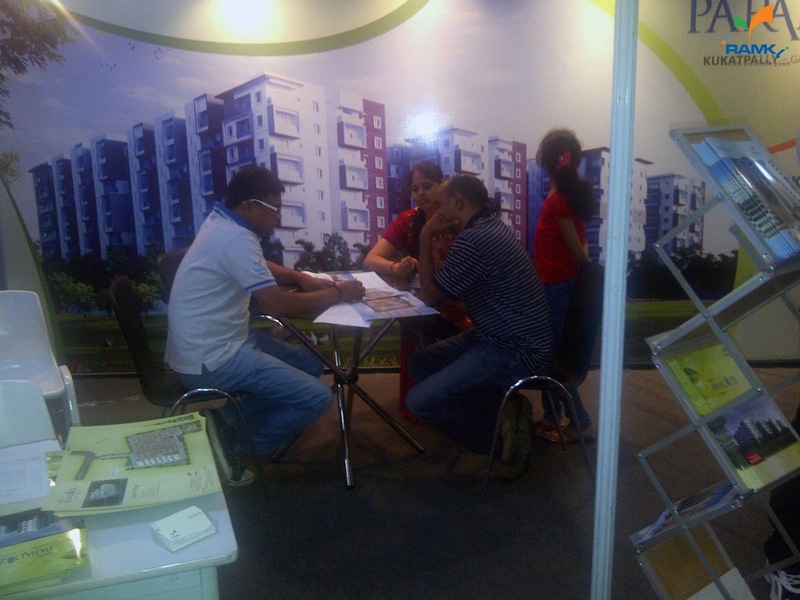 Sakshi Property show conducted at Shilpakalavedika on 2nd and 3rd March 2013. 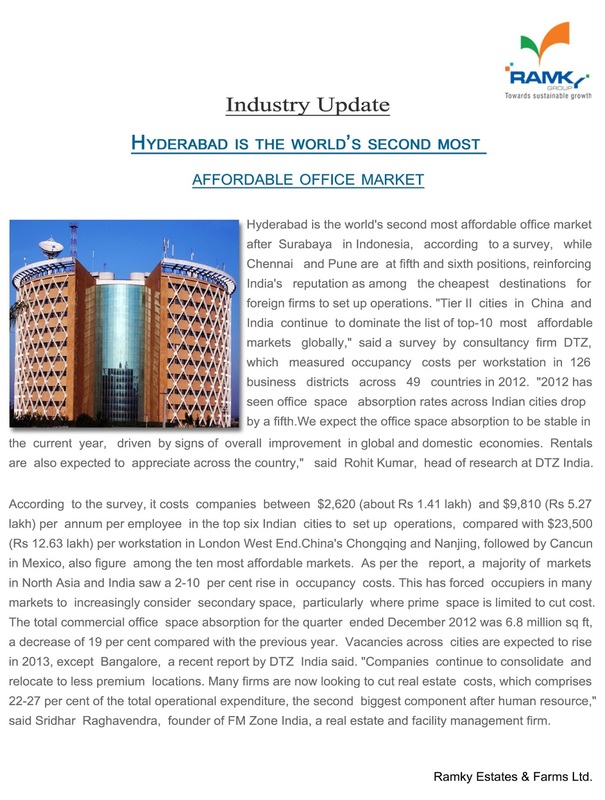 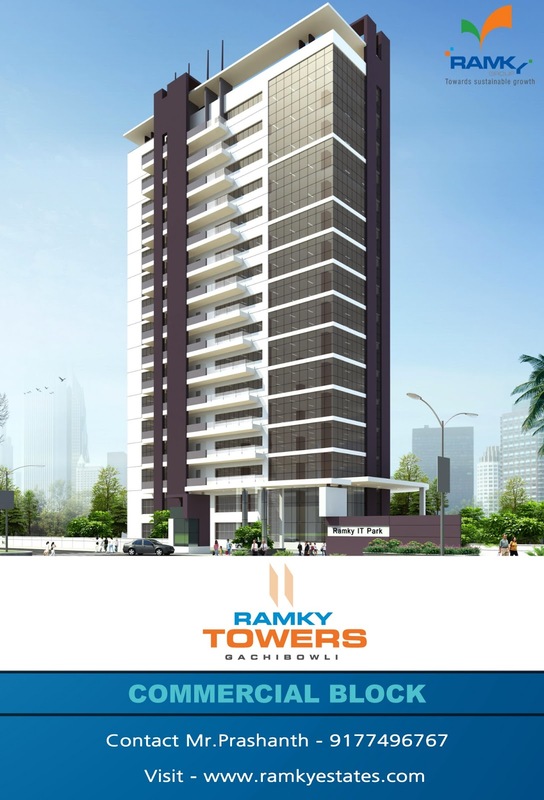 RAMKY TOWERS COMMERCIAL BLOCK - GACHIBOWLI. 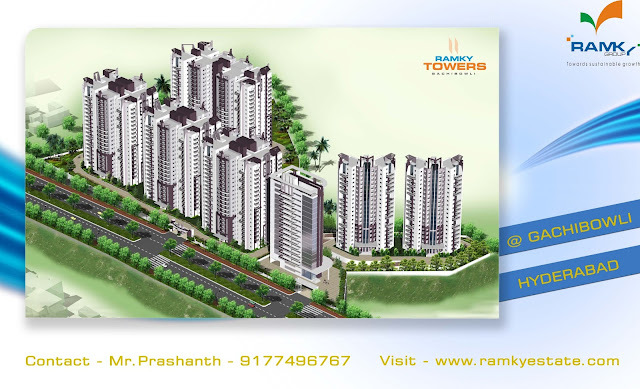 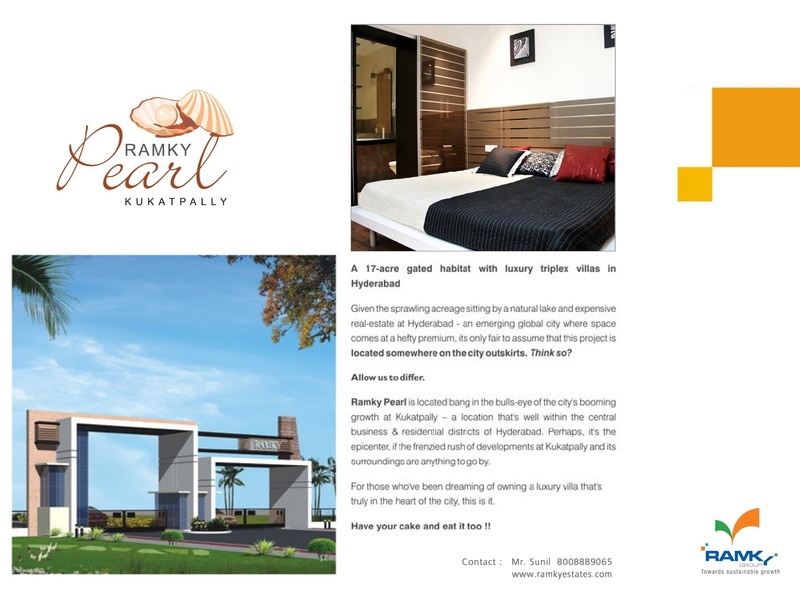 Your dream home begins with you.... @ RAMKY TOWERS - GACHIBOWLI.